A database index is a data structure that improves the speed of operations in a table.INSERT and UPDATE statements take more time on tables having indexes where as SELECT statements become fast on those tables. The reason is that while doing insert or update, database need to insert or update index values as well. So if your index has two columns, say last_name and first_name, the order that you query these fields matters a lot. SELECT last_name, first_name FROM person WHERE last_name = "John" AND first_name LIKE "J%"
//AGAINST() takes a string to search, and an optional modifier that indicates what type of search to perform.The search string must be a string value. Natural language full-text search interprets the search string as a free text and no special operators are required. Boolean Full-Text searches: It allow you to proceed words with a + or a - to force it to either be present (+) or not present (-). 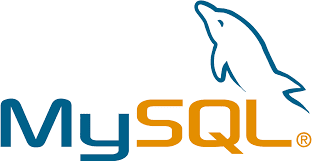 "-CakePHP" means that MySQL will not return any rows that match "CakePHP", even if they match "PHP". Putting double quotes around groups of words allow phrase searching. That matches rows that have "PHP CakePHP" just like that - no words in between, not one or the other.